We can become an extension of your business by helping your franchisees benefit from our knowledge and experience. 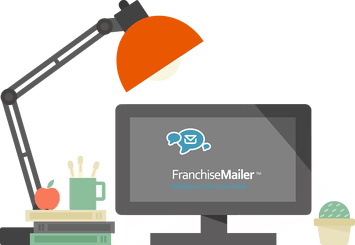 We will personally introduce them to your new franchise email marketing solution and guide them through its benefits and how to use FranchiseMailer™, with the added bonus of a FREE 1 month trial period so they can see what a difference it will make to their business. Unlike other email marketing companies on the market, we don't expect you to look after your email marketing yourself. 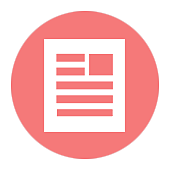 We know that you may not have a person that is able to build and manage new templates, so we will remove that worry and work closely with you to populate the template library on a regular basis. 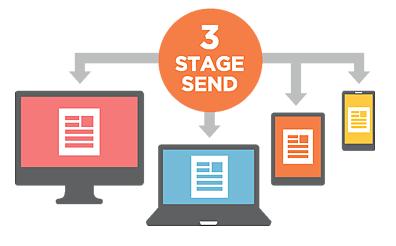 It is always an exciting time for franchisees when they realise they have the power, through the easy 3 step process of sending their first campaign to their selected contacts. We will ensure that they understand, not only how to interact with FranchsieMailer™, but also, more importantly, how to interpret the results enabling them to become pro-active in following up leads and maximising their new opportunities. Our experienced team will be in regular contact with you and your franchise network and will be there to listen, educate and offer advice to ensure that we maximise the potential that FranchiseMailer™ has to offer. We will let them know of any new templates that appear in the library via an automated email, so they never miss a promotional opportunity. Education is key and needs to be clear and instructive. We have a selection of guides, tips and advice for franchisees to access, to help them improve the effectiveness of their campaigns. These guides cover a wide range of topics from How to send a campaign to Reacting to your results. "I would definitely recommend it, its so easy to use and monitor!"